Added “debug mode” option in plugin settings. Added support for the upcoming Aelia auto-update system. 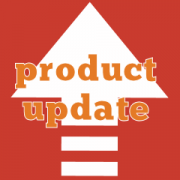 Added required and WooCommerce support versions, as per WooCommerce 3.2 version check specifications. Fixed Admin interface showing the coupons list. Due to a cosmetic bug, the Admin UI showed the coupon value in the currency that was active in the frontend. This glitch has now been rectified.